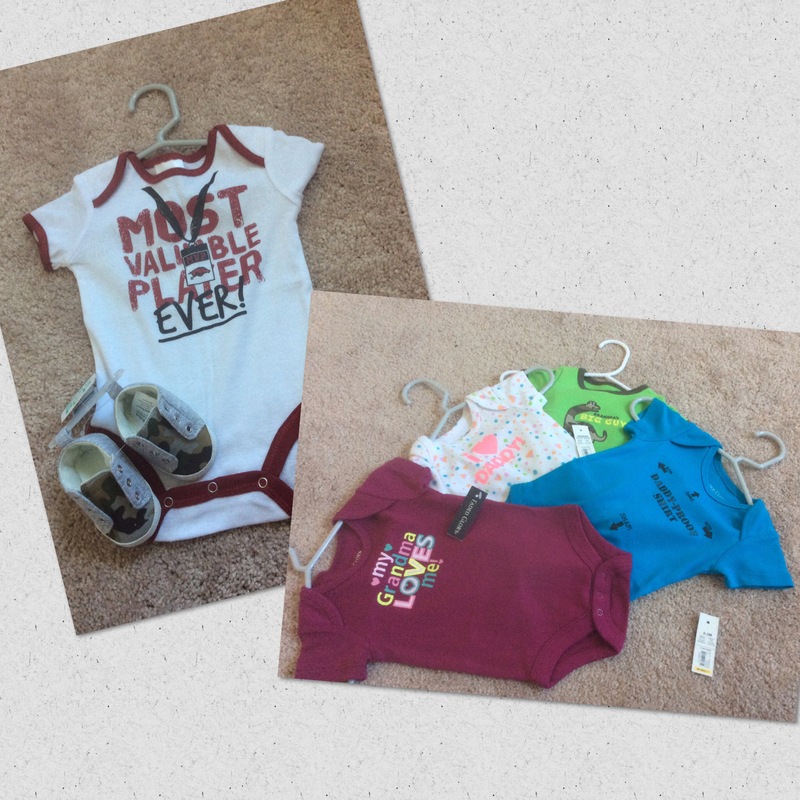 You see, these were the little onsies we used to announce to our family that we were pregnant the last 2 pregnancies. My heart stopped. My eyes filled with tears at the thought of what these tiny little baby clothes represented. I thought to myself, I would give anything to have those two precious babies back and meet them and hold them in my arms. But I knew that wouldn’t happen. I sat in the nursery for a few moments just thinking about who those two babies might have been. What they might have looked like, talked like, laughed like. I just wanted to curl up in a ball and cry. But then the words to a worship song that we would sing in church a lot came to my head and made me realize that even though there were times of sorrow and pain, the Lord brings joy through those circumstances. The song, you may ask? Some of the words that stuck out to me in this song go like this..
For some reason, when I thought of these words it calmed me. Even through mourning the loss of these precious babies, I could joy in the fact that God has it all under control. That His timing is perfect. That I have a perfectly healthy baby growing inside of me with an almost flawless pregnancy to go with it. And, that those little baby clothes, will no longer have to hide in a box. They will be used by this precious little rainbow baby. And that brings me more joy than any time of mourning can take from me. A rainbow baby is a baby that was conceived and given birth to after a miscarriage or infant loss. The rainbow in the Bible was shown to Noah as a sign and promise that his family is blessed and that God would no longer bring such destruction on the world. So, a baby born after a storm of miscarriage or infant loss, is a blessing from God. A way that He shows He will always come through on His promises. It just may not be in a way that we thought it would. So, in everything you do, even during the hard times, always look for the joy that comes with the mourning. Always know that God has and will never turn His back on you. He loves you! You are always in my thoughts and prayers! Thank you for the words of encouragement. I am overjoyed with the anticipation of Dec getting here!